‘Chaimonade’ was not a tea I specifically set out to make. I was working on blending a couple of other teas – an Earl Grey with more citrus, and an orange hibisus-y thing and… bits and pieces of them came together in my head and decided I needed to make a lemony chai for summer. I love tea. I love chai spices. And I love lemonade for summer. Combining the three into something that would work for drinking both hot and cold ended up seeming like common sense. 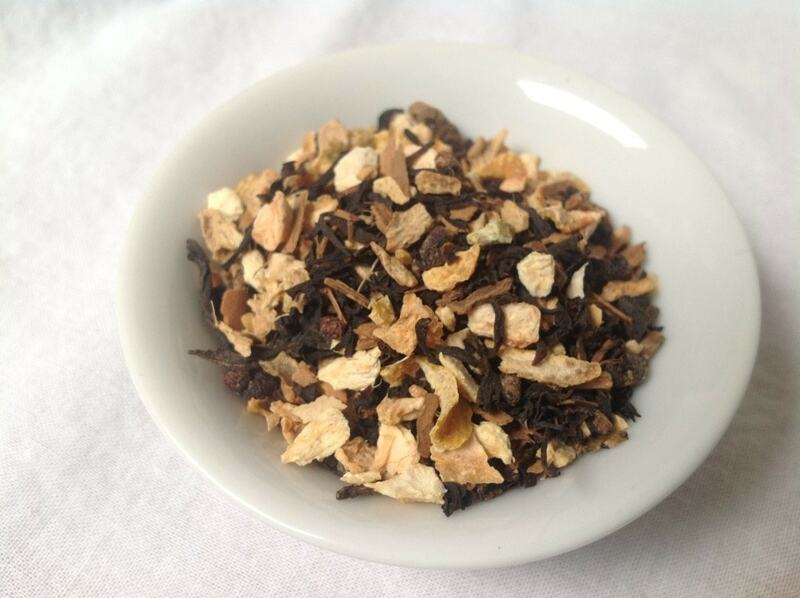 It worked out very well, and is one of the teas I reach for during summer. Sun tea, in the fridge iced, it works well in a number of formats. 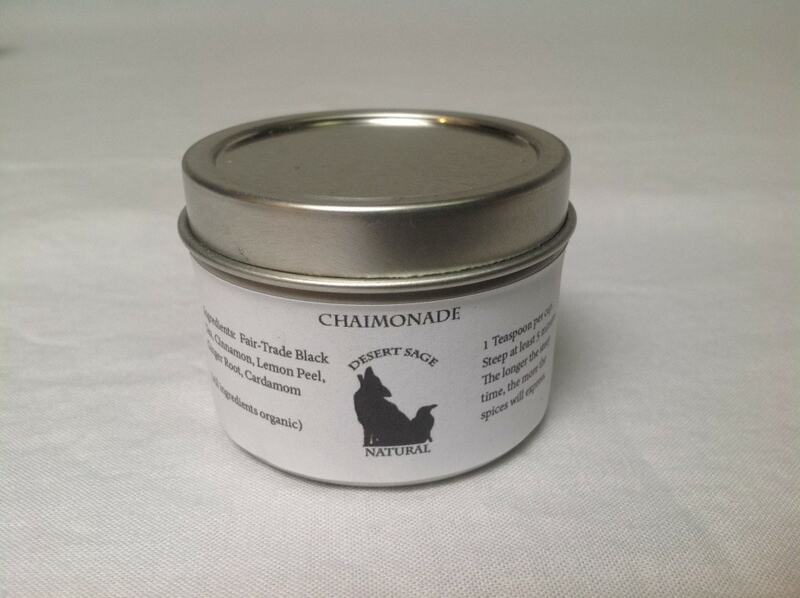 This entry was posted in Black Tea, Chai, Fruit, Simply Tasty Teas and tagged Desert Sage Natural, Lemon Chai Tea, Organic Cardamom, Organic Chai Tea, Organic Cinnamon, Organic Fair Trade Black Tea, Organic Ginger, Organic Lemon Peel, Organic Tea by DesertSage. Bookmark the permalink.